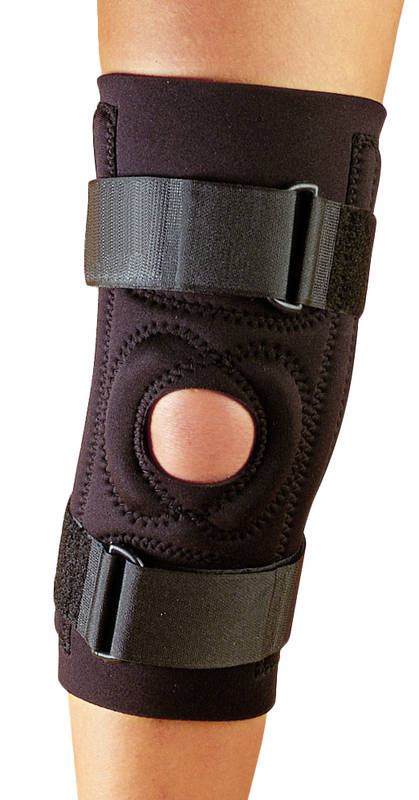 The Hely Weber Hinged Patella Stabilizer with medial lateral tubular buttress is an excellent model for providing a stabilizing affect for the kneecap in addition to providing ligament protection with hinges on the sides of the knee. The universal buttress is both adjustable and removable, and the wide hinged bar knee brace design provides excellent medial (inside) and lateral (outside) protection. The pull-up loops make for easy application, while the 13" length is perfect for both short and tall individuals.